Water bore holes for Golf course irrigation. 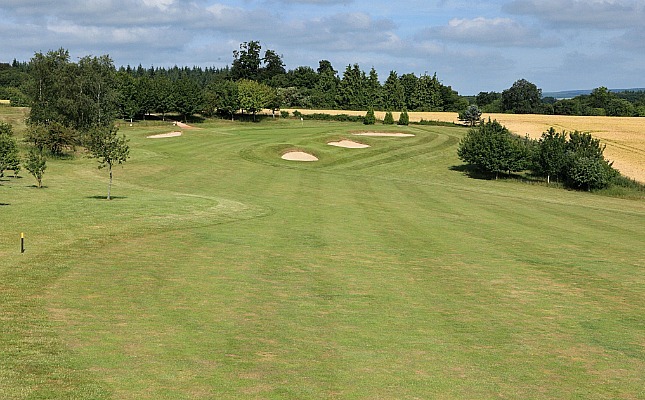 Many Golf Clubs are looking at ways to save on the budget in these challenging times and one way can be to sink there own Bore Hole for course irrigation. Treated water is expensive but all to often gets over looked within course management. The greens and course can all be watered without cost. This is where major savings can be made. Water can be extracted from the Bore Hole ....some times without storage....and pumped straight onto the greens at little or no cost. And the best part......it returns then to the ground water. This Recycling also reduces demand on the public supply which is currently under pressure. No Chlorines or fluoride are in ground water so the greens will see the benefits with stronger greener growth. 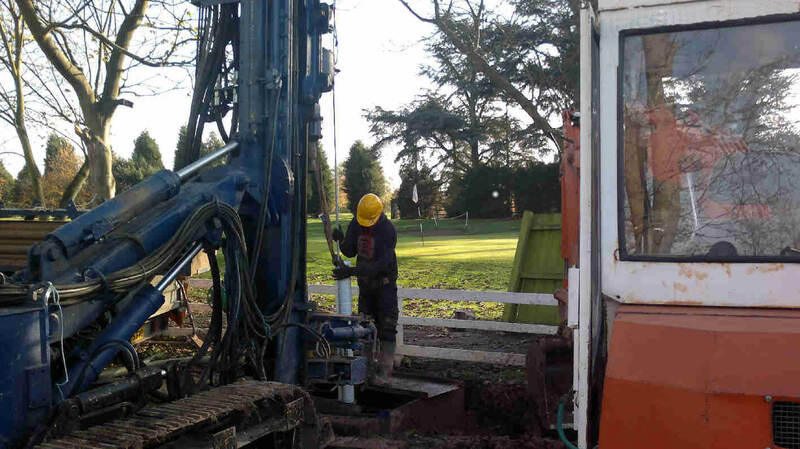 Picture above...drilling at Nottingham golf club..50 cube a day on test. So ....get more water on the greens at no cost and reduce demand on public treated water. First step is to evaluate the ground formations that are under your dwelling to find out how much water is available to extract. Some areas on the chalk or marl formations can give hundreds of cubic meters of water a day. Other Aquifers on rock formations can yield only 3/ 4 cubic meters a day.